The default content type is simply called Content but is more commonly referred to as a WYSIWYG, an acronym for "what you see is what you get." A WYSIWYG is an open content area for a variety of material such as text, images, media, and more. Example of Content WYSIWYG on a page. 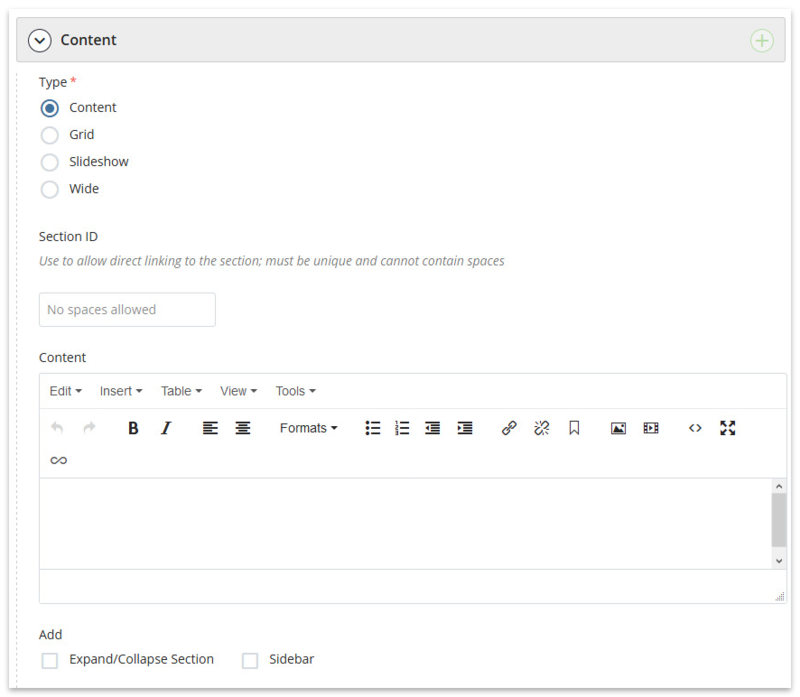 Content WYSIWYG in the page edit interface. Enhance the main content with two types of add-on features. Organize content into click-to-reveal sections, ideal for FAQs and lists of topics. Complement the main content with additional information.